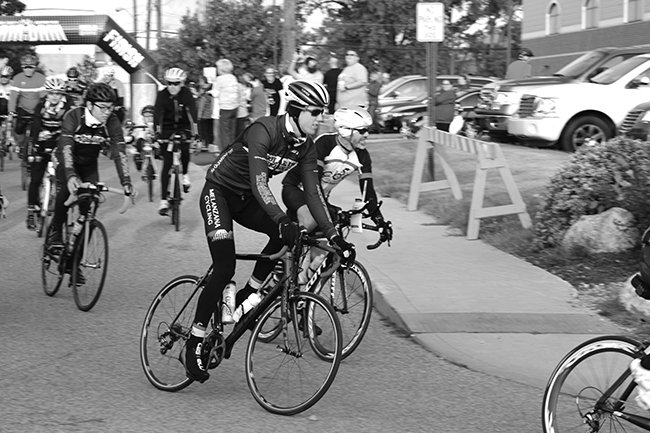 The ninth annual Dam to Dam Century Ride will mark a first on Sunday, Sept. 9. A rider from Brazil, Rafael Preto, will become the first rider from outside the United States to participate in the event. Preto is executive director of Arpol Red Spot Tintas Brazil, a company that has entered into a joint venture with a firm named Red Spot Paint, which is located in Evansville. Former Wabash resident Phillip Abell is the firm’s Application Engineering Manager and has become friends with Preto over the years. Abell “is really involved in sports (so do I) and we do triathlon, bike races, running and other stuff together when we have a chance,” Preto told Christine Floor, Executive Director of Tourism for Visit Wabash County, in an email. Preto usually visits Indiana three or four times each year and his latest visit will coincide with this year’s Dam to Dam ride. “For our lucky this time the tour schedule met with a business trip so I will have the chance to do it,” he said in the email. The Wabash County Commissioners felt a small sense of relief Monday, Aug. 27, as they were able to announce at their weekly meeting – and then again at the County Council meeting Monday night – that they were close to closing on a property which will house the county morgue and coroner’s office. The property at 443 McCarty St., purchased for $73,000, looks like a pole barn from the outside. It’s about 1,800 square feet. The Metropolitan School District of Wabash County opened bids for its Southwood wastewater treatment plant improvements project at the Tuesday, Aug. 28 meeting. United Consulting opened the sealed bids. Only two bids in all were submitted. The first bid came from James S. Jackson Corporation for $1,177,000. Jackson is out of Bluffton. The other bid came from Cornerstone Stewards, Inc. out of Fort Wayne for the amount of $1,073,000. The board took the bids under advisement. The plan is to take Southwood Elementary School’s wastewater treatment plant and close it. They will then lift that water to Southwood High School’s plant. Southwood High’s treatment plant will also undergo some improvements. Filing for the Metropolitan School District of Wabash County and Manchester Community Schools school board elections ended at noon Friday. 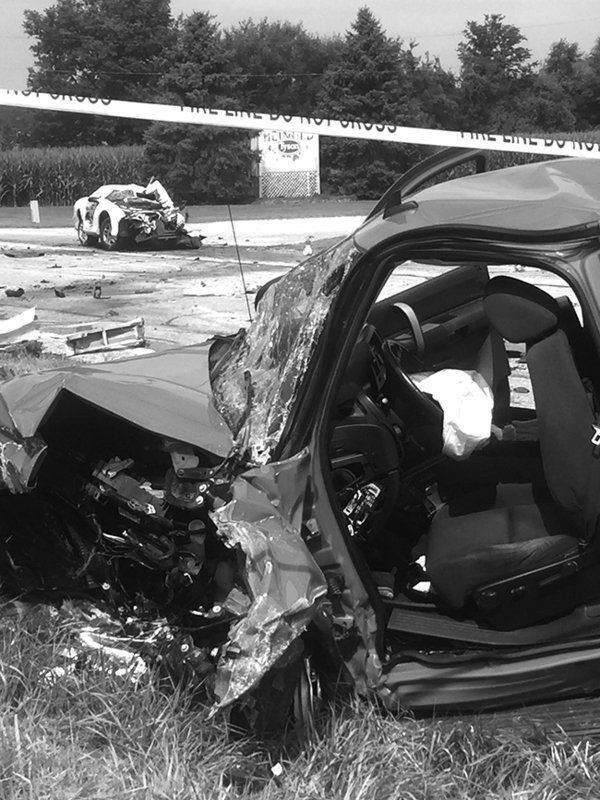 At approximately 10:45 a.m. Sunday, Aug. 26, officers from the Indiana State Police and the Wabash County Sheriff’s Department responded to a two-vehicle crash on State Road 114 near Wabash County Road 200 West, in which a Roann woman died. The preliminary crash investigation by Indiana State Police Trooper Todd Trottier revealed that Samantha Hebein, 21, Roann, was driving a Chevrolet Camaro westbound on State Road 114 near Wabash County Road 200 West. For an unknown reason, the Camaro crossed the center line and collided with an eastbound Chevrolet pickup truck driven by Daryl Bradford, 68, North Manchester. Hebein was pronounced dead at the scene from injuries sustained in the crash. Bradford and his passenger, Nancy Bradford, 69, North Manchester, suffered non-life threatening injuries. They were transported by medical helicopter to a Fort Wayne hospital. The Indiana State Police is investigating the July 8 death of an inmate at the Wabash County Jail. The inmate, Bradley Creasey, 42, Wabash, was arrested early July 8. He was taken to the county jail, where jail officers found his body later in the day. Sheriff Bob Land and the Wabash County Sheriff’s Department has not released any information on Creasey’s death. Land referred any questions to the ISP. Creasy was arrested by North Manchester Police after leading officers on a lengthy chase, allegedly in a stolen vehicle. Kirk said that officers allegedly saw Creasey, for whom the county had issued an arrest warrant, driving a vehicle allegedly stolen from Roann. Officer Devin Bechtold initiated a pursuit around 2:45 a.m. that lasted until around 6 a.m. Officer Karsten Kersey and Reserve Officer Cody Cook were also involved. The Indiana Commission to Combat Drug Abuse unveiled an interactive, online Naloxone Administration Heat Map, where residents can see where the opioid reversing drug is being used most in the state. After EMS providers administer the drug, they report it to the Indiana Department of Homeland Security, so that the IDHS can map the locations of the incidents. Naloxone has been used roughly 25 times since the beginning of 2018 in Wabash County. Fourteen cases of Narcan usage were reported in 2014, 36 in 2015, 43 in 2016, and 43 in 2017. After a few months' delay, the county is moving forward with two contracts related to a new phone system for the county jail. Back in May, the Wabash County Commissioners gave Sheriff Bob Land permission to proceed with a contract with Mitel for a new phone system, at a cost of $1,128.40 per month. County Attorney Steve Downs requested to review the contract. In July, Land brought forth a contract with Intrasect Technologies for installation of the system, which also includes updating of the jail's telecommunications infrastructure. The original price of $11,661 dropped to $9,910 after a review by Intrasect. The monthly cost is about $250 more than what the jail currently pays, Land said, but allows for replacement of an outmoded phone system that can no longer be repaired. The commissioners approved both contracts, pending some language change in the Mitel contract, at their Monday, Aug. 22 meeting.